All Arnold homes currently listed for sale in Arnold as of 04/23/2019 are shown below. You can change the search criteria at any time by pressing the 'Change Search' button below. "One of a kind waterfront property- water on two sides of this peninsula- Severn River & protected Asquith Creek. Over 7800 finished sq feet- huge water views from almost every room of the house. 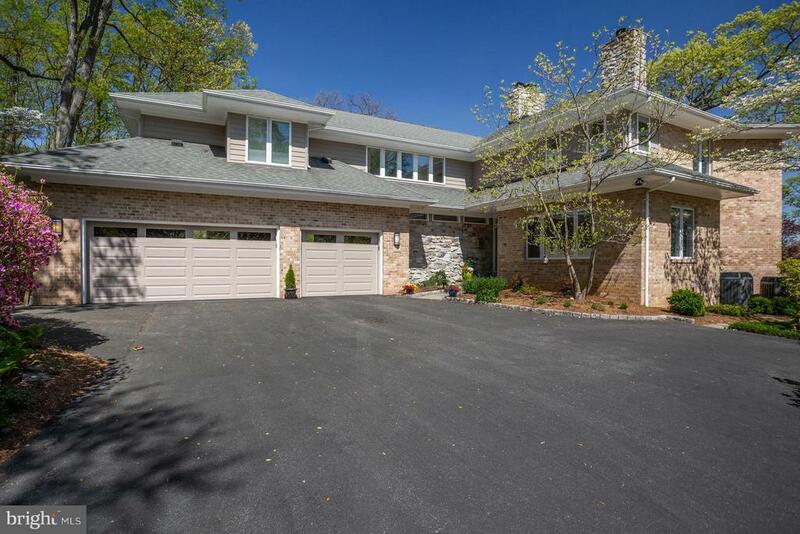 Amazing open floor plan, master suite w/ sweeping Severn River views & recently renovated master bath. 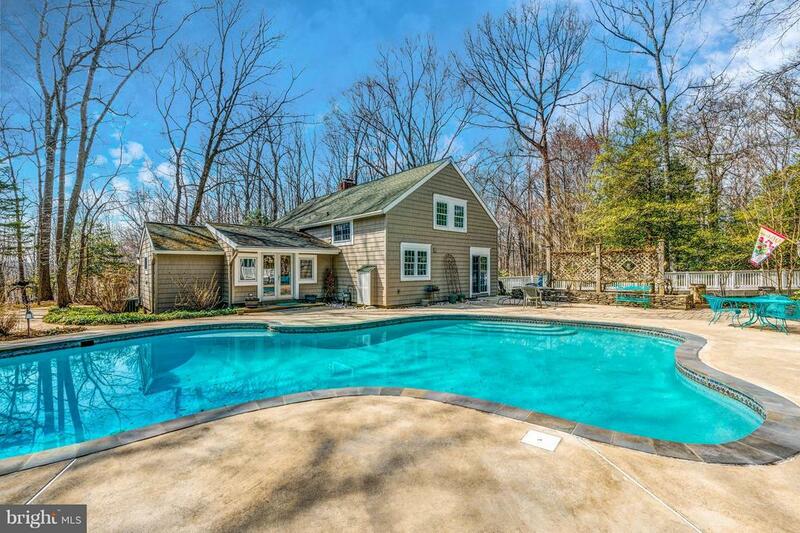 Severn River side pool and huge deck- perfect for entertaining. Pier on protected Asquith Creek." 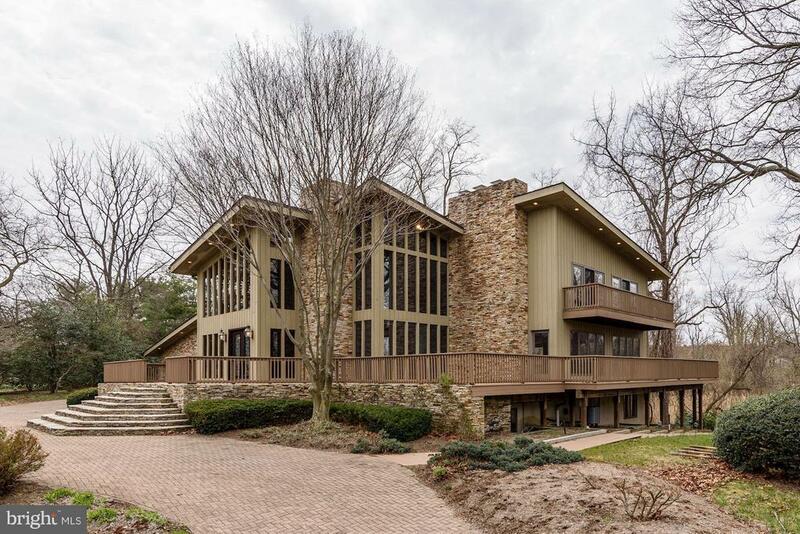 "Custom solid built palatial home overlooking Asquith Cove on the Maryland designated Scenic Severn River! 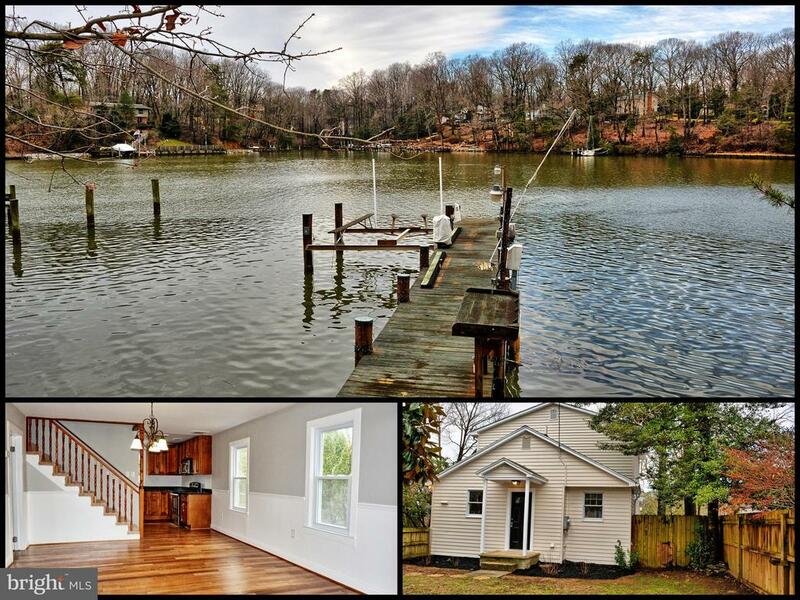 This location cannot be beat - truly usable waterfront with 8+ feet of water at your dock! Easy walk from the house to your private pier with boat lift, shower, fish cleaning table. There is also a crab shack at water's edge to enjoy the day's catch! Hard to find first floor master suite with stunning views of the river! The walk out lower level offers large wet bar area and movie theater for indoor entertaining options. A must see home-unique, top of the line finishes you will not find anywhere else! This home does not disappoint . 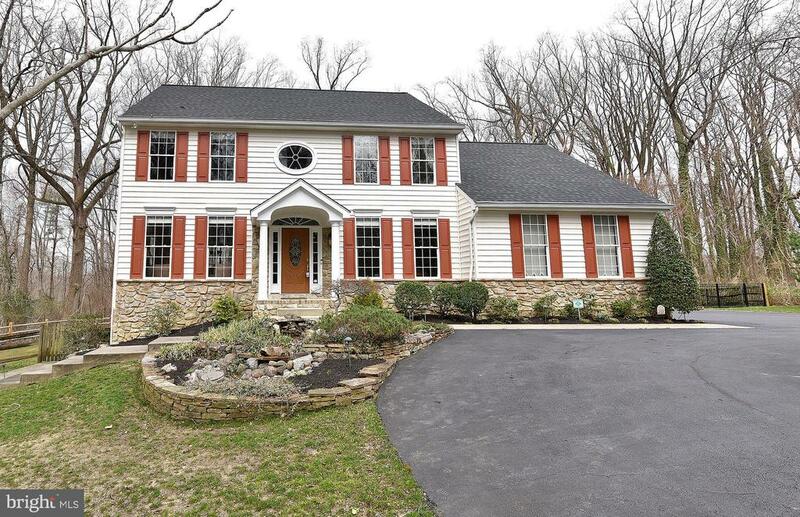 Located in Rugby Hall Estates within the Severna Park School district and close to some of the best private schools in the area. Near major commuting routes, too. 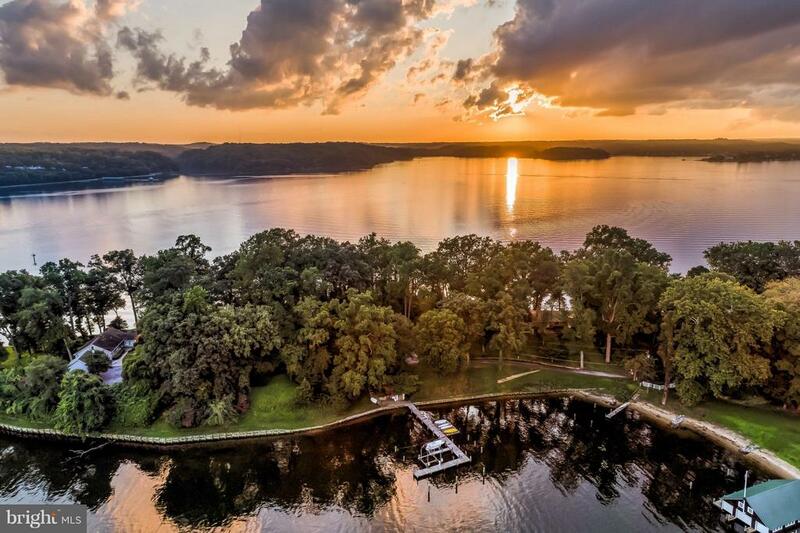 The best waterfront living has to offer can be found right here!" 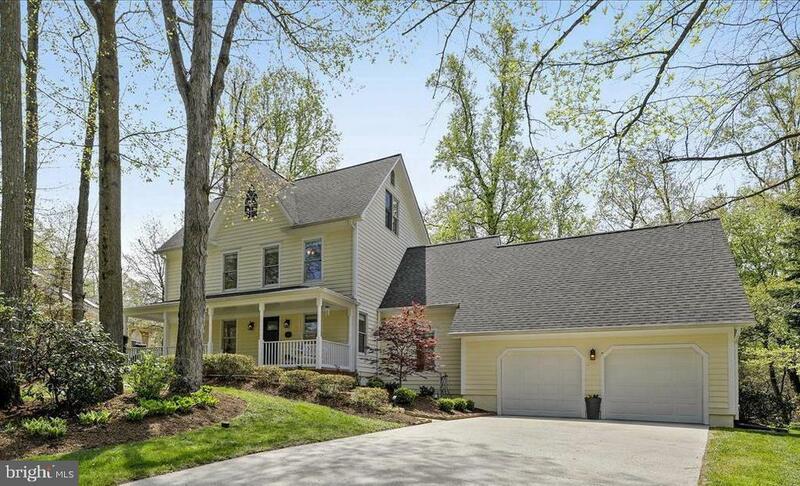 "Beautiful custom home located on the Magothy River, within minutes of the Chesapeake Bay. Gorgeous water views from all 4 bedrooms and living areas. Long deep water pier with boat and watercraft lift. Heated pool with automatic cover and spacious fenced yard. Wide open floor plan, combined kitchen dining room with dual islands and breakfast bar. Gourmet kitchen with built in cabinets and additional prep sink. Matching cabinet panels for refrigerator and freezer with dual ovens, warming drawer and larger cook-top. Large walk in butler pantry with kitchen counter-top access. Open living room with incredible views and look through fire place shared with dining room. First floor bedroom/library/office with french doors to patio and pool. Master bedroom with beautiful views includes a private balcony, large walk in closet and double sinks. Spacious second floor with additional area for exercise or game room and separate walk in linen closet." "$1.5 Million is the suggested opening bid at the Public Auction Sale to be held on the premises and online on Weds. April 24th@ 11 AM. This property is a being sold voluntarily by the owner. 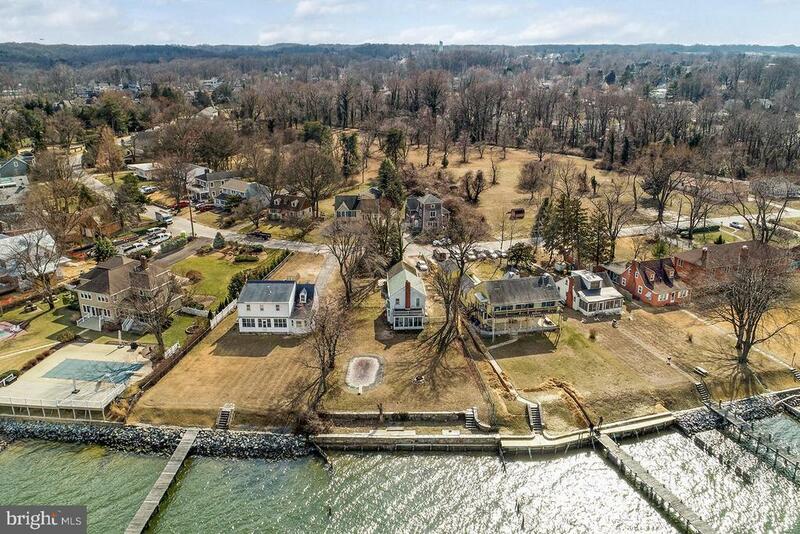 Alex Cooper is proud to present this elegant WATERFRONT home in the Annapolis area community of ~Jamestown on the Magothy~. Located conveniently near College Parkway and easy access to Route 50. 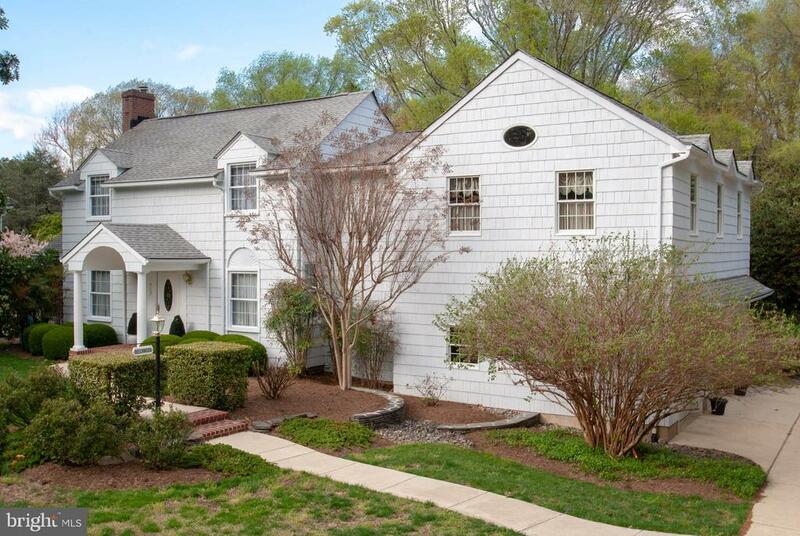 Close to downtown Annapolis, Baltimore and Washington DC. Enter the 8 fully fenced private acres through a gated circular driveway to a magnificent all brick Colonial Williamsburg style 10,000 +/- sq. ft. home complete with in-ground pool and deep-water dock. Plenty of living space with 5 bedrooms, 6 full and 2 half baths, large office space, walls of windows throughout with spectacular views of the Magothy River and the surrounding manicured grounds and more!! You will find attention to details through the entire home including: Beautiful 2 story entry foyer with marble floors, a curved staircase and crystal chandelier, Beautifully appointed fireplaces with custom made mantels, Very large formal living room, Crown molding and cherry floors throughout, Family room with breathtaking 2 story custom brick wall and fireplace. 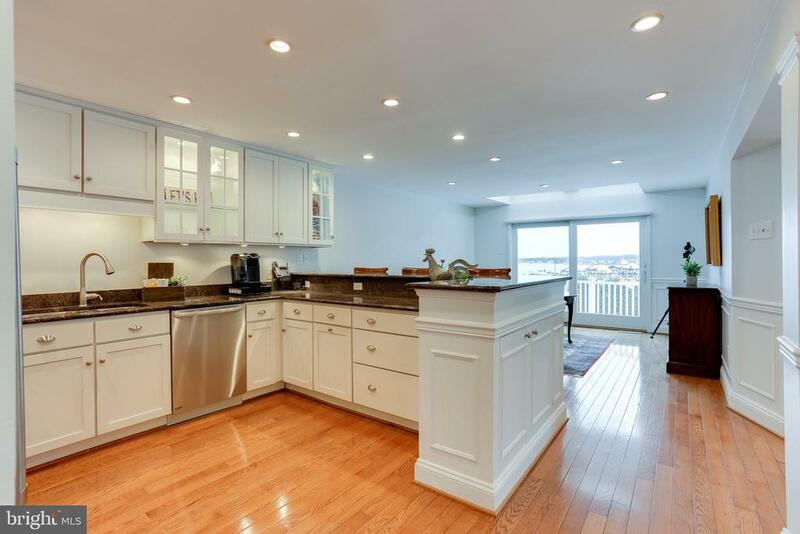 Chef~s kitchen with 2 large granite topped islands and top of the line appliances, Eating area in kitchen with large bay windows overlooking the water. Main level includes a wet bar, laundry room and access to the three-car garage. Second level master bedroom has French doors to a private deck with views of the pool and water, Master resort-like bath features cherry cabinets and white marble shower and soaking tub, Each of the other four bedrooms has its own private bath with walk-in closets and lots of light, Lower level features a spacious game room, bedroom with full bath, 2 fireplaces, wine cellar and outdoor access This is the perfect home for "
"Stunning custom home. Magnificent two story great room off modern kitchen. Wonderful for entertaining. Marble foyer and hardwood floors. Extensive moulding throughout deluxe dining room, music/living room and huge master bedroom. Movie theater, large exercise room with mirrors, beautiful mature landscaping, three car garage, community marina, Broadneck schools." "Just in Time For Summer Fun! Move Right Into Your 5 BR, 4 BA Custom Home on .60 Flat Acres Located in a Culdesac Right Across from the Magothy River . LOVE Your High Ceilings with Dramatic Lines, Abundant Windows, Spacious Rooms, Gorgeous Hardwoods, Breathtaking Living/Family Rooms with Floor to Ceiling Stone Fireplash, Lavish Owner's Suite with Stone Fireplace, Custom Closet, Lavish Bath with Steam Shower. Community has Pool, Tennis Courts, Waterfront Park, Marinas, Boat Slips, Boat Launch, Stables with Pasture, Clubhouse and Social Activities Throughout the Year for ALL Ages! Broadneck Blue Ribbon Schools. Minutes from Downtown Annapolis. Easy DC and Baltimore Commute. WELCOME HOME to 804 Canvasback Court!" "STUNNING VILLA,IMPORTED TILE AND TERRA COTTA ROOF,PORCELAIN FLOORING ON MAIN LEVEL, WET BAR WITH WINE COOLER REF,WHOLE HOUSE GENERATOR,KITCHEN WITH ALL THE UPGRADES,DETACHED ONE CAR GARAGE WITH GARDEN SHOP IN REAR,20X12 OUTDOOR KITCHEN TO BE BUILT WITH PIZZA OVEN, ROTISSERIE OVEN,AND SINK,CUSTOM BUILT ON 1+ ACRE LOT, CHARGING STATIONS IN KITCHEN AND BATHS 1 CAR GAR WITH GARDEN ROOM"
"Magnificent gardens surround this stunning Stonington home! Light and bright interior with a floor plan that is excellent for entertaining! Living and Dining rooms with hardwood floors share a 2-sided fireplace. The kitchen is a gourmet's delight with bright eat-in area. Family Room with fireplace. Incredible master suite with luxury master bath and sitting room with fireplace. A Must See!" "*** MASSIVE PRICE IMPROVEMENT *** This stunning private Yankee Barn estate on 4.25 acres is like nothing you had ever seen before! The main house offers 3,490 Square Feet of exquisite customization and features an incredible 4 Bedrooms and 3.5 Baths. Extensive touches and thoughtful convenience make this cozy and grand all in one. No detail is spared, no detail overlooked, from simple conveniences of everyday life to a grand bridge walkway. Inside you will find a main-level Master Bedroom fit for Royalty, with cedar-lined closets and a private entrance to the pool. The main level also features a full-size laundry room. The upper level features 3 Bedrooms and an additional office space/loft.The recently-remodeled kitchen with ample custom and custom-painted cabinetry, granite counters, and semi-professional appliances will bring out the best cook even from Chef Boyardee himself. The grand Dining Room will entertain your pickiest guests. In fact this room was designed to entertain parties of 25. On the level just below, you will find a fully finished basement with its own second kitchen and a separate storage area with built-in cabinetry. The floor plan opens onto the back deck, which features a custom stone fire pit and a barbecue sitting area. An in-ground 40,000 gallon pool with a waterfall feature provides the serenity of a suburban getaway. Nearby you will find a poolside guest house with 2 Bedrooms, 2 Bathrooms, and its own kitchen and quarters. Looking to get in touch with an inner mechanic, have a boat or are you looking to try that new hobby? The sprawling four car garage with additional 800 Square Foot barn/workshop with electric can sustain a hobby of your choosing. There is also potential to convert it into boat storage. 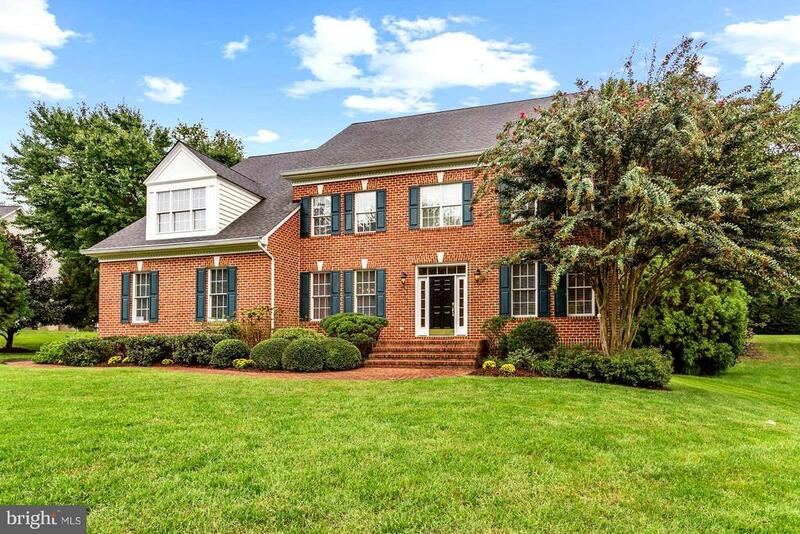 Located only four miles from Annapolis Mall, this home provides a cozy getaway while allowing easy access to arterial routes, entertainment, and Blue Ribbon schools. The community offers a community pool, playground, marina and tennis cour"
"Watch Wednesday night sailboat races all summer long from your living room! In Broadneck School District! 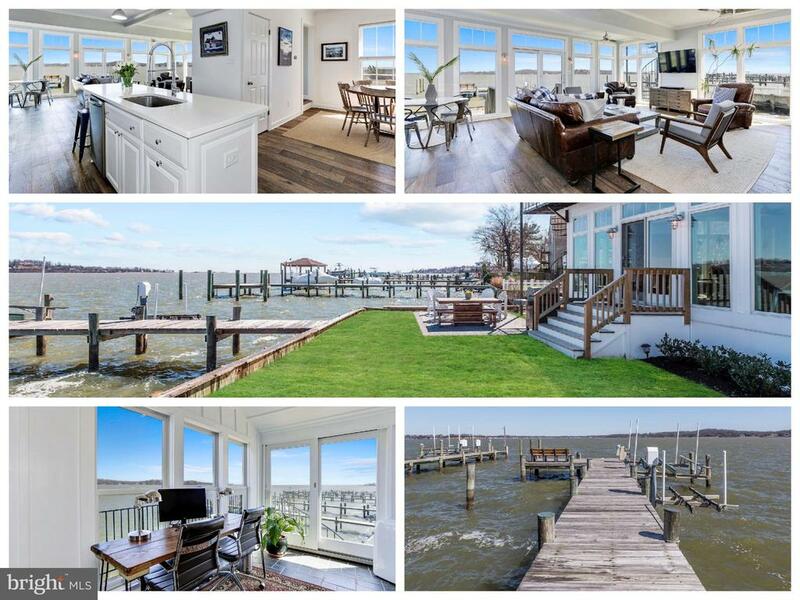 Beautifully and fully remodeled waterfront with w/amazing 180 degree+ panoramic sunrise and sunset views of the Magothy River & Chesapeake Bay, open floor plan, gourmet kitchen w/quartz, SS appliances & island. All renovated bathrooms, new hardwoods through out. private pier w/ boat and jet ski lift , detached garage w/in law suite above w/separate kitchenette, living area, full bath and bedroom. First floor den could be 4th bedroom in main house. Extra storage room in garage. Private office and balcony off MBR with stunning views. MBR updated with Carrara Marble. Sits alongside protected secluded beach. Voluntary HOA - Community Offers Boat Ramp, Kayak Rack, Picnic Area , Playground, Clubhouse and Beach on the Magothy at $45 per Year." 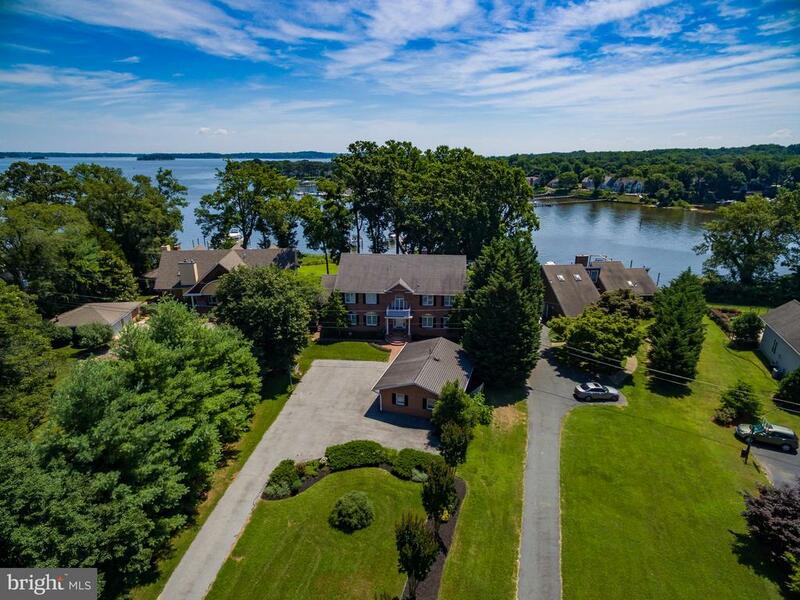 "Ulmstead at its best!-highly sought after water community-3 story custom contemporary w/stunning unobstructed waterview of the Magothy- exceptional curb appeal-5 BR-3.5 baths-5 Fps-wood floors,floor-to-ceiling windows-MBR w/his & her bathrooms-dance studio-wine cellar-5400+SF of Liv Sp-multiple decks-3 car garage-Comm:marina,pier/dock,beach,pool,tennis,clubhouse, Broadneck Schools! 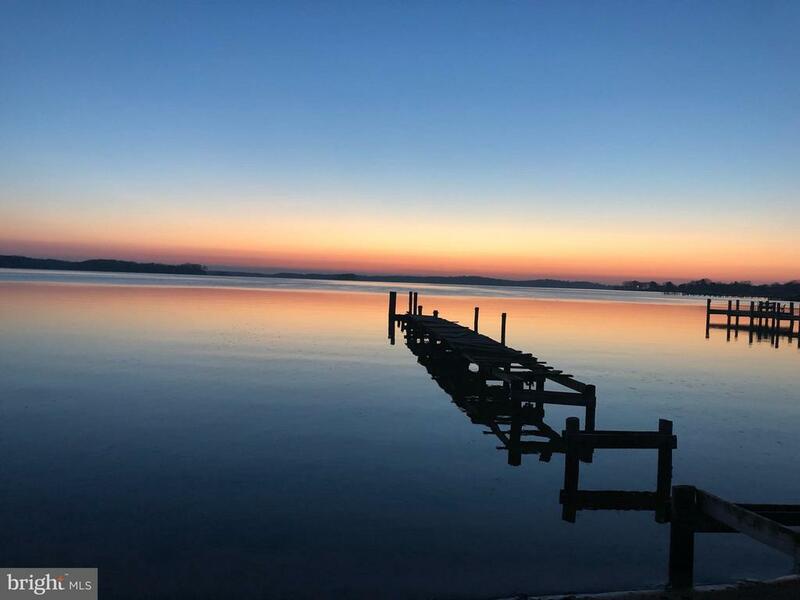 JUST WONDERFUL"
"One of a kind property on 2.33 acres (house on 2.27 acre lot; waterfront deeded parcel is .06 acre; 15' Right of Way across the street from subject property to waterfront parcel and private pier on the Severn River. Water view is limited from house). Original house built in 1937; expanded and updated via extensive addition/renovation in 2003/2004. Features include: Immaculate and updated kitchen and baths; Anderson windows, hardwood flooring throughout; 4 bedrooms, 4 full baths; sun room; second floor den would make great home office/nursery/craft room; 2 zone heating & cooling; full unfinished basement; 3 car garage; 15,000 watt generator; 20' x 10' shed (Stolzfus Amish built structure); fish pond and brick patio in park like back yard...the list goes on!" 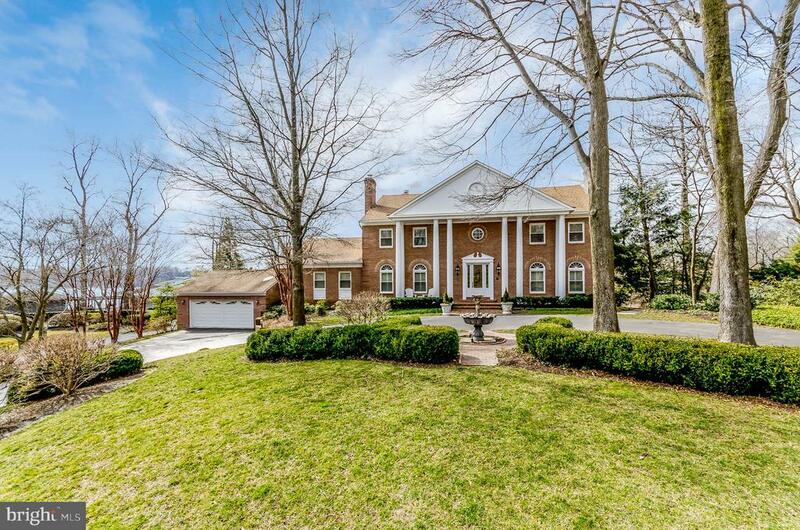 "Stately brick front home situated on a flat acre of land. This custom built home was built with excellent craftsmanship and attention to detail. The main floor offers hrdwd flooring, a huge OPEN KIT/FAM combo, fireplace, dining room, living room, office, mudroom w/laundry, dual staircases. 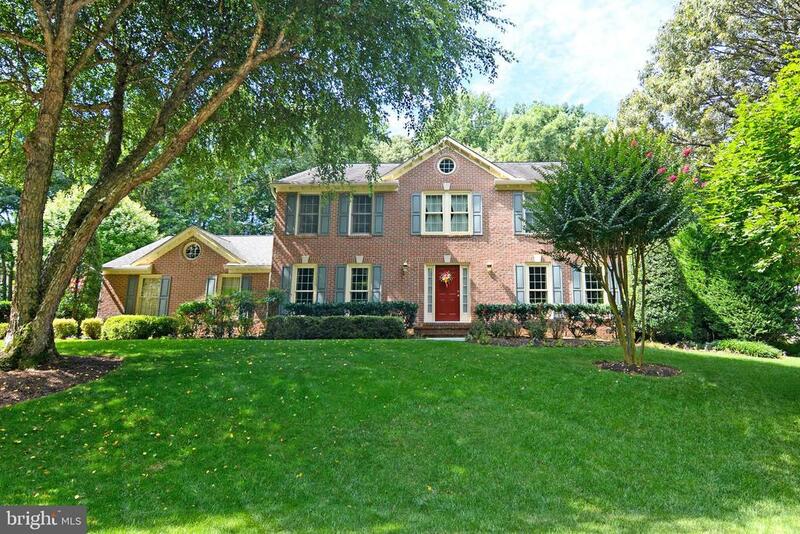 5 Br's on uppr lvl including a master suite w/ 2 walk in closets and updated MBR. HUGE unfinished bsmnt. ETC!" "A PERFECT 10! Fall in Love with the Spacious Front Porch Overlooking the Flat Park Like .46 Acre Lot Blooming with Perennials; Contemporary Open Floorplan with Walls of Windows, Cathedral Ceilings and Open Living Spaces; Beautifully Renovated Kitchen with Center Island Overlooking the Family Room with Cathedral Ceilings, Walls of Windows, Custom Built in Shelving and Pellet Stove; Owners Suite with Newly Renovated Bathroom including Dual Vanities, Oversized Shower, Pretty Tile Floor and Surround, Spacious Walk in Closet with Shelving, Renovated Bathrooms Throughout; Lower Level Rec Room, Storage and Exercise/Workshop Area. Enjoy the Community Pier with Boat Slips, Waterfront Park/Picnic Area, Tennis Court and All Sport Court. Broadneck Blue Ribbon Schools. Easy DC/Baltimore Commute. WELCOME HOME!" "Awaken to stunning sunrises visible from your picture window, your pier and private beach below your seawall, steps from your back door, boaters paradise, crabbing and fishing at your fingertips. This updated two story Rancher welcomes you to Bay living at its' finest, in the beautiful friendly neighborhood of Magothy Manor, adjacent property is open space, two car garage with off street parking for three vehicles. Enjoy the 2000 square foot comfortable house featuring cherry wood ceilings and ceramic tile or plan your future mansion on the existing footprint. Eight Ceiling Fans, Beamed Cherry wood Ceilings, Hardwood and Ceramic Tile , Stampcrete driveway, two bay garage. Your paradise awaits at a very affordable offering price." "Beautifully updated 3br 2.5 baths waterfront home on Mill Creek with breathtaking views. Updated kitchen w/SS appliances and granite counter top. Gleaming HW floors. Updated baths. Pier and 7+ depth. Pier has 4 slips, 2 lifts, water & electric. MUST SEE!" "Exquisite home sited on a one half acre lot in Water Privileged Community. Entertainer's Dream - Gourmet Kitchen completely remodeled w/ 42 custom cherry cabinets, unique stone backsplash and granite island, bump out nook with a bay window. This home has been reconstructed and expanded to give you that open floor plan you dreamed of and space you desire. The upper level will surprise you with a Stunning Master Suite with His & Her Master Baths & Walk-in Closets and the owner reconfigured the 4th bedroom into an office which could always be switched back with some creative vision. It also offers a 2 story foyer, gleaming hardwood floors, formal living & dining rooms with crown molding, open floor plan living, spacious and elegant family room with a beautifully crafter fireplace surround. Finished Lower Level Rec Room with FBA and storage. Convenient laundry room located off the kitchen. 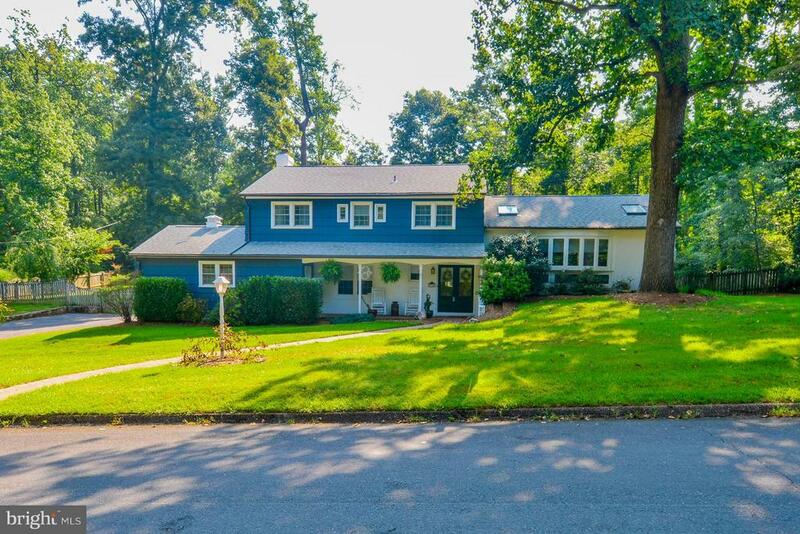 A back yard retreat with deck overlooking a wooded lot and a perfectly manicured lush lawn. Ulmstead Cove....A Waterfront Community...It's A Lifestyle! Mooring available. Broadneck Schools." "Classic style in a private setting perfectly describe this well-appointed colonial home located minutes to Annapolis with spacious circular driveway and plenty of parking for all your guests!Enjoy your morning coffee or evening cocktail gazing from the all-season room overlooking the wooded environs as you sit by your cozy fireplace on a cool day. Quick to become your favorite room of the house, this expertly designed addition expands the living space to the outdoors for your year-round pleasure. If a more formal setting is your fancy, the dining and living rooms are adorned with moldings and large windows to allow natural light flow throughout. Entertaining will be a breeze in the eat-in kitchen complete with propane cook top, wall and convection/microwave combo for efficient cooking, high quality 42~ cabinets and a butler~s pantry for all your storage needs. Rounding out this cook~s delight are granite counter tops and a neutral ceramic floor. Just off the eat in kitchen, lies the family room with large windows flanking the wood fireplace accenting the end wall enhanced by the rich hardwood floors. For those telecommuting or just in need of additional space, the main level features an office tucked away from the main thoroughfare of the home for privacy to be productive. The upper level of this wonderful home continues with an owner~s suite featuring vaulted ceiling, walk in closet and attached owner~s bath with soaking tub, separate shower and dual vanity. Three generous additional bedrooms and a full bath complete the upper level. For buyers looking for that fun entertaining area, the basement does not disappoint with full bath and sliders to the yard as well as storage and plenty of room for a pool table, game night and overall hang out space. Additional amenities that complete the home include a patio with built in grill, and oversized two-car detached garage with a second story workshop and dormer windows for natural lighting. Convenience in location to Annap"
"Beautiful colonial located in Woodgate. This home offers an open floor plan with 4 bedrooms 3.5 bathrooms, a fully finished basement, a 2 car garage and much more. 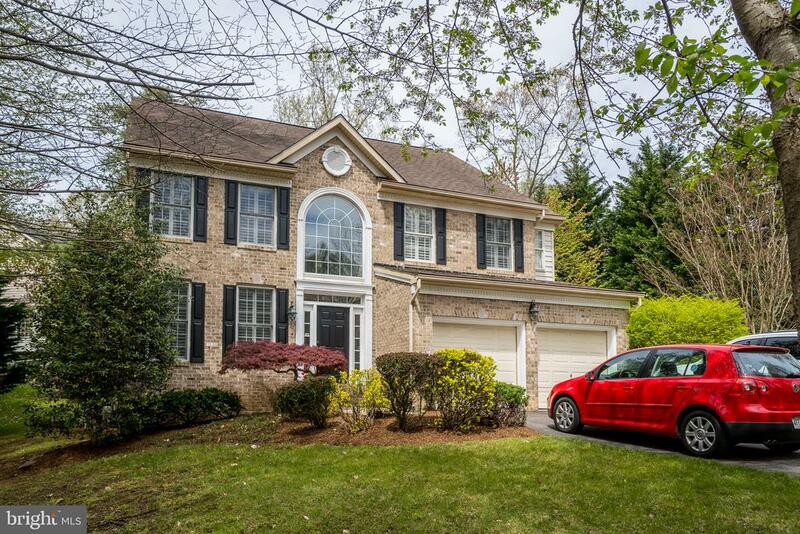 This home is close to schools, shopping and major highways." "Extraordinary 4BR 4.5BA home in highly coveted Moorings on the Magothy located in prime neighborhood location. Highlighting 3 Fully Finished levels of living space, stunning River views from every room, gleaming HW flooring and much more! Features also include Gourmet, Upgraded Kitchen with Breakfast Bar with Seating Opening to Dining Area & Cozy Living Room with Fireplace. 4 Generous Bedrooms - 1 on Main Level with En Suite and Built-Ins, 1 on Upper Level with En Suite bathroom, and 2 on Top Level including Oversized Master with Sitting Area & Updated Master Bath with dual vanities. Gated Community that includes private beach, picnic area, tennis courts, open space and observation pier. Welcome Home!" "THE SEARCH IS OVER! This lovely, well appointed home has it all! 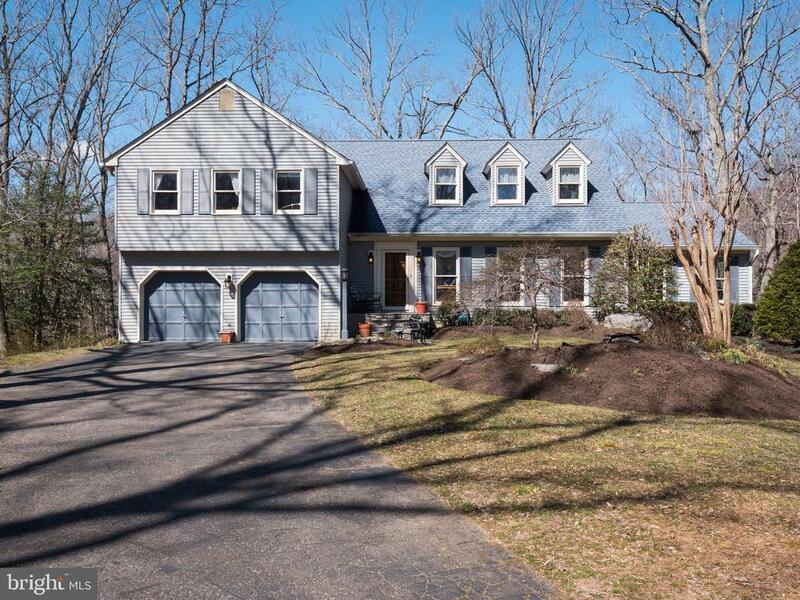 This 5 bedroom 3.5 bath home is located in the sought after community of Sturbridge in the Broadneck school district, but because of the long driveway and surrounding woods you feel like you are out in the country. Beautifully landscaped front yard with pond and large rear deck w/BBQ grill and hot tub give you lots of opportunities to enjoy its serene location. The expansive Master suite has a separate sitting room, tons of light and spa-like bathroom. The finished basement boasts a 5th bedroom with ensuite bath, multipurpose room, large workshop with exterior access and tons of storage. 2 car garage, ample parking and storage shed complete this amazing home/property. Welcome Home!" "$10K credit for mstr bath remodeling!! !Cul-de-sac Location! Fabulous kitchen!Newly painted, New windows!New Front walkway! Beautiful hardwood flooring! Outstanding FL glass enclosed patio room adjacent to FamRm w/fireplc. Living Rm w/ fireplace & bay window! Rear Deck/Custom Flagstone Patio/LG Fenced Yard! Amenities abound..Marina,pool, tennis courts waterfront picnic area, barn(clubhouse) w/stables,Tot lot!"